TORONTO FC have confirmed their interest in taking Sunderland striker Jozy Altidore back to the MLS. Reports emerged in America last night that discussions are underway with the MLS over a January exit for Altidore, who has gone more than a year without finding the net in the Premier League for Sunderland. Three MLS clubs are reportedly interested in the 25-year-old - Portland Timbers, New York Red Bulls and Toronto - with Sunderland looking to recoup much of the £7million they invested to bring Altidore from Dutch side AZ Alkmaar 18 months ago. Toronto see Altidore as a replacement for ex-England striker Jermain Defoe, who is hoping to secure a return to the Premier League this month. 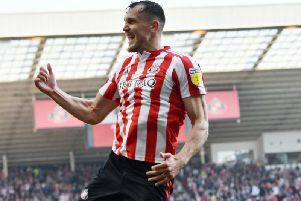 And head coach Greg Vanney has admitted that they are eager to seal a deal for the USA skipper, whose form on the international stage continues to offer a stark contrast to his goal return in a Sunderland shirt. “We’ll see what happens,” Vanney told the Toronto Sun. “We’ll throw our hat in the ring. “He knows the league.He knows North American soccer.